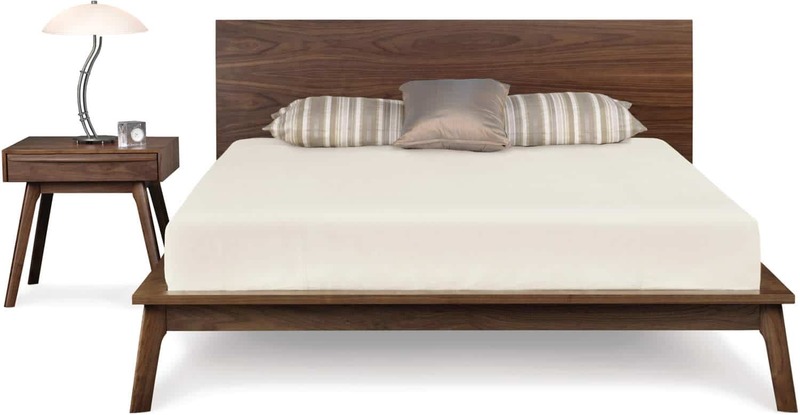 The Catalina bed is low and sleek, designed for a mattress only, and is available in two heights. 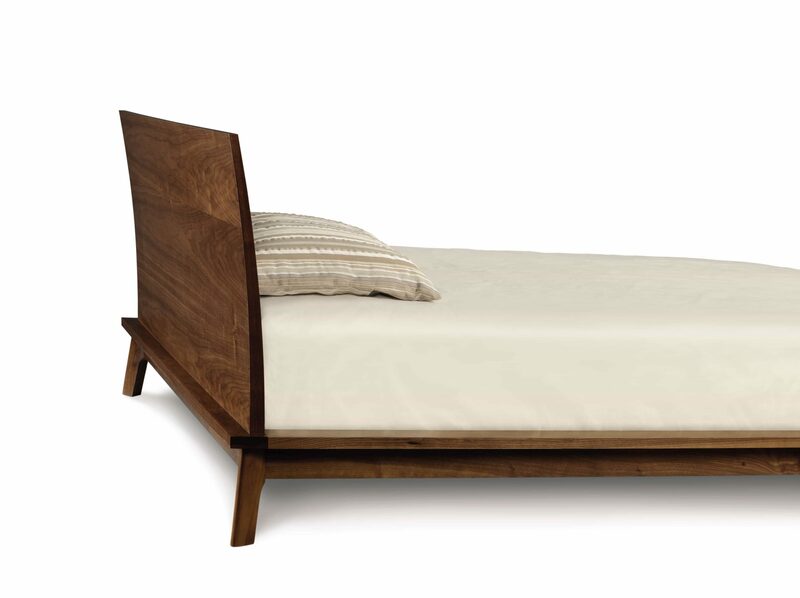 The Catalina Bedroom is crafted in solid American black walnut with natural finish. *Bed headboard panel features an subtle curve detail. 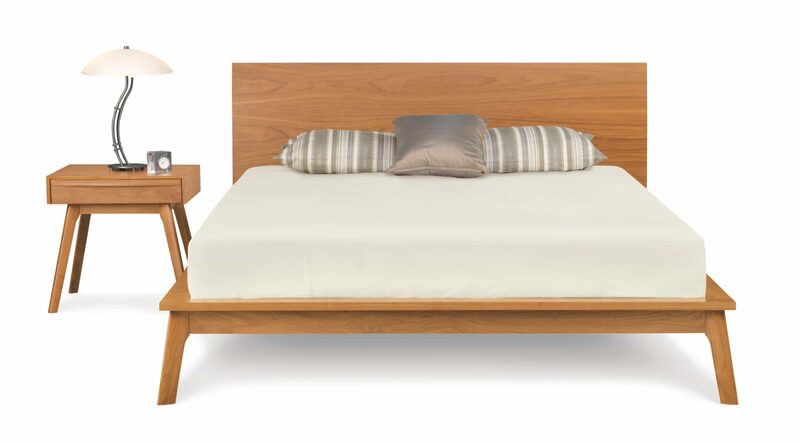 The Catalina Bedroom is also crafted in solid cherry hardwood with natural finish. The finish is GREENGUARD Certified for low chemical emissions.